A trade fair stand concentrates a company's entire external communication onto a small area. It turns brand philosophy into a spatial experience. In every detail there is a message. Our hands help you to reach your goal. We interpret stand construction as a masterful craft combined with CNC technology, precision and efficiency. Winkels Messe- und Ausstellungsbau GmbH was founded in 1962; since 1970 it has been primarily involved in international trade fair construction. Today it has 75 full-time employees engaged in the professional implementation of its international projects. 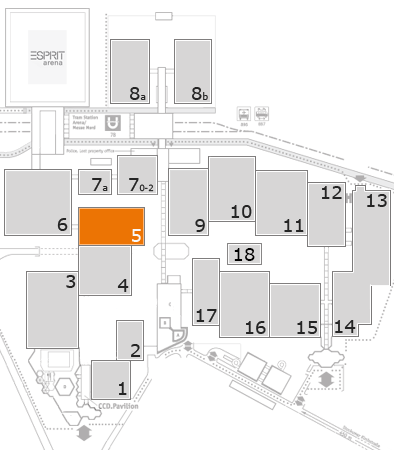 All exhibition stand components are planned and constructed at the company headquarters in Kleve. The high depth of production and use of modern CNC technology enables precise production with a maximum level of reproducible quality. With an area of approximately 50.000 m², there is plenty of space available to allow careful storage of exhibition stand components. The Chinese subsidiary in Beijing was established in 2005. European companies in particular take advantage of Winkels' specialist skills and unique quality in realising high-quality brand stores and trade-fair stands.